Germany used to be a main centre for great independent music in the mid-Nineties, but as soon as some fashion idiot decided to make Berlin the Mecca of European pop music, it all went down from there. We're that far that only the mention of a German newcomer band makes me duck and cover, because even if they are not from Berlin, they at least chose to relocate to the new German capital. And then there is Scut. I have lost the label info, but at least the album was recorded in Mainz, giving them creative freedom from all kinds of trends. I remember their label describing them as a noise rock band, which again made me wary, as a lot of garage and noise bands nowadays use there terms to hide their lack of talent. But the opener Never Should allows me to exhale. This easy going straightforward rock song lives from the two distorted guitars that are always on the nice side of indie rock. This means that there are elements of harder music, nothing trendy, but just the way indie rock was supposed to be back in the good old times. The vocals, performed by guitar player Markus, are rather peculiar, slightly high, like a masculine brother of Placebo, with nice and effective backing vocals delivered by bass player Regine. The second song Undecided aims more or less into the same direction. Room for introspection comes with the five minutes long Making Friends, taking its time to build momentum, but when it's finally exploding, we're remembered of the good old Mercury Rev before they wimped out with Deserter's Song. Another highlight can be found with Bad Hair Day, and Elvis Dies When He Joined The Army has been noted down in my book of best song titles. 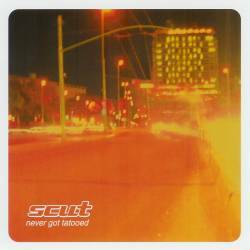 What makes this album so outstanding is the way they combine slightly psychedelic American alt rock with arty British independent sounds, enveloping it with a sauce of German rock from ten years ago. The guitars are constantly creating walls of sound, the rhythm section is maybe less distinctive but always functional, and the vocals work surprisingly well, especially when the two singers add their voices to those cinemascopic choruses. Sparse keyboard arrangements in a few songs add depth. Innovation is no issue on an album that's so clearly inspired by the Nineties, but what counts is the overall surpassing quality. Not every song is as overwhelming as the aforementioned ones (not as if there were one bad track here), but right now I can't think of many contemporary German bands that could top this. Only their labelmates Schwarz (with a German name but actually from Spain) play a similar music, with more of a hippiesque psyche sound. 9 points for one of the most refreshing alt rock albums of 2005.